Shirley Stone passed away after a long illness on Feb. 28, 2018, under the loving care of Lassen Nursing and Rehabilitation Center, which had been her home for the past four years. She was born on Aug. 9, 1932, in Oakland, California, and moved to Lassen County with her family at the age of 3, where she resided for the rest of life. She married the love of life, Bob, in 1956, and together they raised three children. 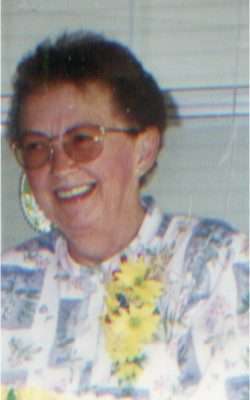 Shirley worked for the Susanville School District for over 20 years in many capacities before retiring in 1992 as business manager for the district. 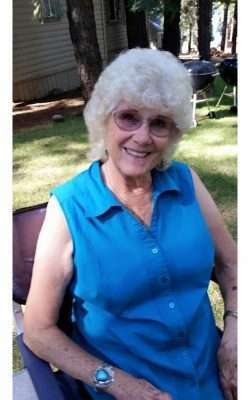 She was a long-time, dedicated member of the Susanville Soroptimist Club, remaining active in the club for as long as she could, and was a member of the Board of Directors for Lassen County Federal Credit Union for many years. After retirement, she enjoyed many RV trips with Bob, many adventures with friends and family and lots of time with her grandchildren. She loved to crochet and knit, was an avid gardener and reader, and cooking holiday/birthday meals for her family was one of her favorite things to do. Shirley was preceded in death by her husband, Bob, and son, Pat. She is survived by her son, Jeff Stone (Shelly); daughter, Laura Dennis (Roby); grandchildren, Amy Shepherd (Phil), Jeff Stone, Garrett Stone, Jessica Henry (Tim), Jane Dennis, and Derek Dennis; great-grandchildren, Connor, Seth, Nora and Corbin; and numerous nieces and nephews. Services will be held at 11 a.m. Saturday, March 17, 2018 at Walton’s Colonial Chapel. 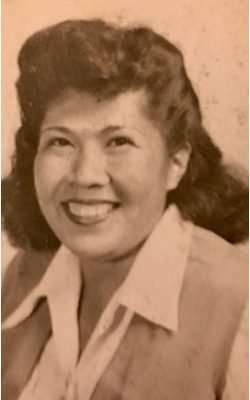 Irene (Smith) Melendez, 96 passed away peacefully on March 4, 2018 at her residence in Sacramento, California. She was born June 18, 1921 to Bill Smith and Lena Mawee. Irene was a dedicated wife and mother. Her husband, Louis, their sons, and extended family were her pride and joy. Louis and Irene loved road trips and traveling, camping and visiting national parks and state and world fairs. In later years, they spent weekends in Reno or Redding and wherever the Lassen High School Grizzly football team was playing; fans since their own sons played over 50 years ago. Although Louis and Irene raised their very young family in various places, including Utah, Nevada and California, they made Susanville their home until illness required that they be near their son, Mike, in Sacramento. Irene will be fondly remembered for her delicious tortillas, pies, sewing and crocheting; really anything that her delicate hands touched. She loved hosting family gatherings and making memories with her children and grandchildren. She was quiet, but funny, petite, but strong and above all compassionate and caring with a heart of gold. She is survived by her son, Michael (Donna); sisters Kathleen Wright and Rosalie (Smith) Dunn; grandchildren Stacy, Eric and Michele; ten great-grandchildren; nine great- great-grandchildren; and a host of other beloved family and friends. She lost the love of her life, Louis, her husband of 73 years, on Dec. 26, 2016. She was preceded in death by her parents and her sons, Wayne, Robert and Ralph; sisters Lanita, Winona and Loretta; and brothers Walter, Willard, Harlan and Mervin. Her family has found solace in knowing that Irene has reunited with her beloved Louie and her boys. Funeral services will be held at 10 a.m. Thursday, March 15, 2018 at East Lawn Mortuary and Sierra Hills Memorial Park, 5757 Greenback Lane, Sacramento, California, 95841. Interment at 2 p.m. at Sacramento Valley National Cemetery, 5810 Midway Road, Dixon, California. 95620. Loretta was a lifelong resident of Westwood. She was a great cook and avid outdoors woman, that loved camping, hunting and fishing. Loretta is survived by daughters, Janet Brent Butts (Rory Burke) and Jeani Brent; sister, Jeanette Sievers (Bill); brother, Kenneth Summers; sister-in-law, Betty Summers; numerous grandchildren, great- grandchildren and a great-great- grandchild; plus many nieces and nephews. A potluck Celebration of Life will be held at the Westwood Community Center on Saturday, March 17, 2018 at 1 p.m. It is with heavy hearts and teary eyes that we sadly say goodbye to Christine who left us tragically and unexpectantly on March 1, 2018, and it is also with pride and fond memories we celebrate and honor the caring and loving person she was to the many people she touched in her lifetime. Christine was born on Oct. 20, 1972 in Cedarville, California, and raised by loving Grandparents John and Luanne Montgomery in Madeline, California. She graduated at Lassen High School and finished a degree in business at Lassen College. She met her future husband Rick Pettengill shortly after college, and they were married after a couple years of dating, on Aug. 12, 1997; which they stayed happily married until present day. Her two children, Samuel and Aricka followed quickly after marriage. They were her pride and joy and she loved them endlessly; along side her proud and loving husband. To those who knew her, it is no surprise that Christine was quite a character and jokester; loved to laugh and have fun with everyone she met. She spent the majority of her life in the Susanville area, besides a handful of years in the Seattle area. She had many long-term close friends and seemingly knew everyone in town. 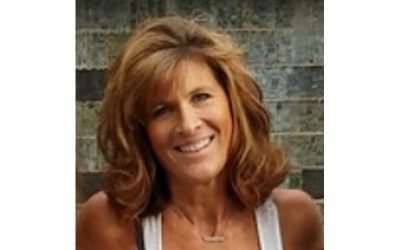 She worked for 12 years as a dedicated Lassen County employee and was also a very active member of the community endlessly volunteering for a myriad of school activities through PTA, Football Boosters and Cheerleading, all through her children’s school years. Force, after their High School graduation. She was also very proud of her recent work with the Blue Star Mom’s to try and do positive things like; raise money to buy wheel chairs for wounded Veterans returning home. All the Pettengill family who dearly loved her as a close family member and countless friends and community members. She is preceded in death by her grandparents, John and Luanne Montgomery. Service and Celebration of Life is at 3:30 on Saturday March 17, 2018 at the Community Church in Susunville, 1400 Numa Road 96130. SO SAD YOUR GONE BUT YOUR SPIRIT WILL LIVE ON WITH FAMILY AND FRIENDS…RIP CHRISTINE!